The University of Mississippi unveiled its Flagship Constellations initiative, which includes multidisciplinary teams with the goal of creating solutions in the areas of big data, brain wellness, community wellbeing and disaster resilience, on Friday (Nov. 17). Each team consists of faculty, staff and students through a collaborative effort to explore and solve complex issues through the diversity of ideas. The constellations also will include subthemes, allowing groups to work on multiple projects at once. Vitter also announced a donation of $1 million in support of this effort by Tommy and Jim Duff to create the Ernest R. Duff Flagship Constellation Fund, in honor of their father. The team will pursue the development of more creative and useful ways to analyze and visualize data to gain new insights and drive innovative research. Its work will encompass many industries, including medicine and health, engineering, security, business, policy and education. The use of electronic medical records have already provided health care professionals with more information than ever, but there is more to health than what those records say, said Dr. Richard Summers, Billy S. Guyton Professor and professor of emergency medicine, physiology and biophysics at the UM Medical Center. “The myriad of social and economic factors that impact patient’s disease states and general well-being are just now coming into focus,” Summers said. “It is possible that your health risks may be more associated with the numbers of your ZIP code than even the measures of your cholesterol. The Meek School of Journalism and New Media hosts Data Day each year to emphasize the importance of learning to apply data in both market research and the spread of information. The group is already engaged in several studies using big data, including the impact of Twitter on the political process. “This Flagship Constellation provides opportunities for collaboration among content creators, those with deep backgrounds in data science and others with broad technological expertise to make assessments about the information people in our state are consuming and to find ways to ensure that they have what they need to make informed choices,” said Deb Wenger, assistant dean and associate professor of journalism. Mark Wilder, dean of the Patterson School of Accountancy, explained how the digital revolution has opened opportunities for individuals and companies that can identify creative new products or services. 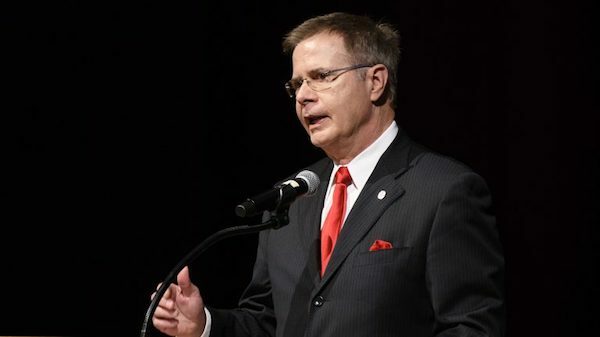 “A recent Forbes article predicts the data analytics market to exceed $200 billion by the year 2020, creating great opportunities for businesses in Mississippi and beyond,” Wilder said. From a student perspective, learning about data can increase job prospects upon graduation, but it doesn’t mean everyone needs to major in computer science. “It does mean that in most jobs, across a wide range of disciplines, employers are looking for employees who have some technical abilities and experience working with big data,” said Dawn Wilkins, professor and chair of computer science. The academically diverse team will engage in population-based research, clinical care, education and basic research to develop technologies and practices help prevent and promote recovery of brain impairment. This year, more than 41,000 Mississippians will suffer strokes, and 12,000 of those people will experience permanent disabilities as a result. The cost to the state for this care exceeds $1 billion. “The brain wellness constellation positions the University of Mississippi to be at the forefront of ending this epidemic,” said Dr. Chad Washington, UMMC assistant professor of neurosurgery. “In fact, we are doing this already. The initial focus on the study of addiction will concentrate on the opioid epidemic, but the team hopes to ultimately understand addiction and drug abuse from a broader perspective. Rural communities, especially in Mississippi, face many challenges to their economies, personal and environmental health, food security, housing and infrastructure. Members of this constellation will work in communities to identify factors that are impeding upon quality of life and implement new programs and methods to foster stronger and more vibrant communities. Major concerns both in the United States and around the world are lifestyle and behavior health issues causing premature births, fetal origins of adult diseases, obesity, heart disease, diabetes and disability. “These issues don’t stand alone,” said Kate Centellas, Croft associate professor of anthropology. “They are very often coupled with limited access to appropriate and local care. The central goal is to develop innovative methods in addressing these issues. The constellation is already working to implement telemedicine in Bolivia, along with two projects in Mississippi: one to help residents of the Mississippi Delta improve water safety, and another to help premature and low-birth weight children and mothers attempting to breast-feed these children. “Working with the most vulnerable babies and offering state-of-the-art support to their families, the insights from this work will help to inform new models of care that span across the rural-urban continuum,” said Dr. Josh Mann, chair of preventative medicine at UMMC. The impact of disasters can be detrimental to a community or area. For example, Hurricane Katrina caused more than 1,800 deaths and an economic damage exceeding $200 billion in 2005. In the last decade, disasters cost $1.4 trillion worldwide and have affected 1.7 billion people. The disaster resilience team will combine research from environmental and legal disciplines with material sciences, information technology and public health. Its aim is to develop the technology and tools to reduce the impact of natural, manmade and environmental disasters and to increase the sustainability of affected communities. The team hopes to mitigate all types of disasters by understanding and addressing vulnerabilities. Provost Noel Wilkin said he is excited about the energy Ole Miss faculty and staff have brought to the Flagship Constellations initiative. “This collaborative initiative has the ability to advance our standing as an academic institution, to magnify the influence of our research on solving major challenges faced by society and to contribute knowledge that will changes the lives of people,” Wilkin said. 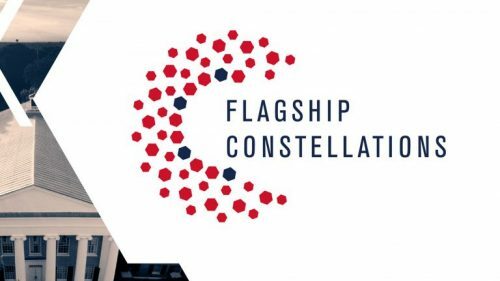 For more information about these collaborations, visit http://FlagshipConstellations.olemiss.edu.